Synopsis: Charlie Buckett finds a golden ticket in his Wonka bar which means that he gets a free tour through Willy Wonka's Chocolate Factory. 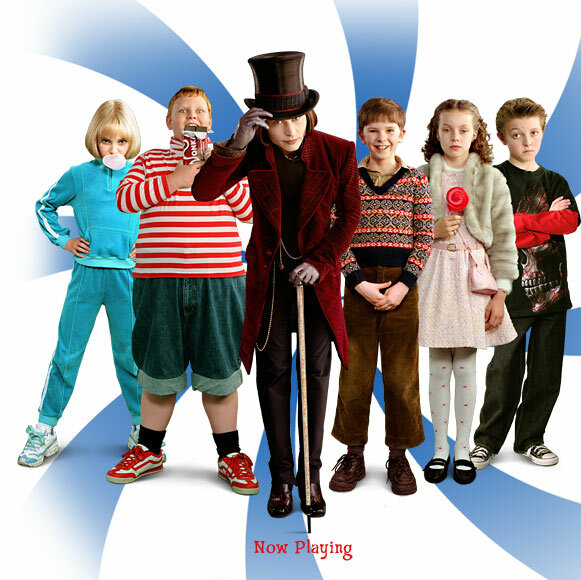 He and 4 other children tour together with Wonka in a competition for an unknown prize. Almost everyone has seen Willy Wonka And The Chocolate Factory. Charlie And The Chocolate Factory is the same tale, just with that Burton touch. He makes things darker as usual and adds to the creepiness which is expected. He also goes back to Johnny Depp once again and Helena Carter. This isn't Burton's best film although is gets the message across to bad kids. The creepiness of Depp's character is over-exaggerated and the main thing that keeps the movie going is the art work and dancing.